Favorite Way To Score:110 mph slapper! Thanks for posting this. 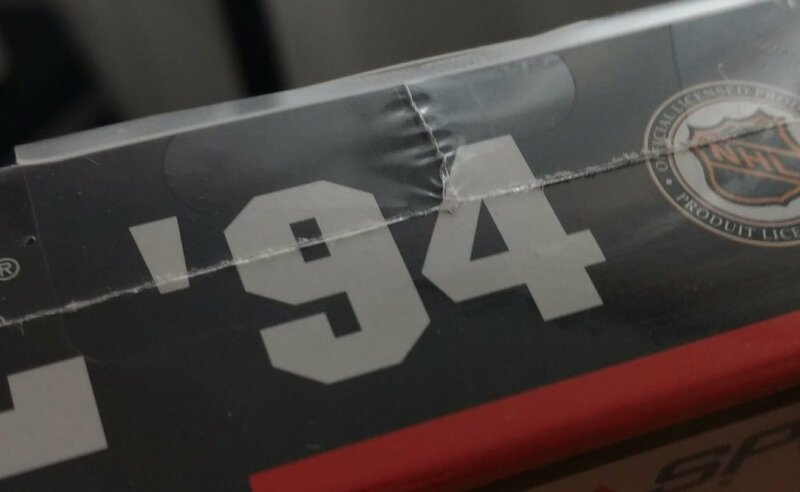 I just researched a bit about fake SNES factory sealed games and one thing that it supposed to be very hard to fake are vent holes. My game has that. You can see one of them on the picture I posted. One is above the head of the LA Kings guy and if you follow that mark in a straight line down to the black part of the box there is another hole. And there are two more in between that the picture doesn't show. 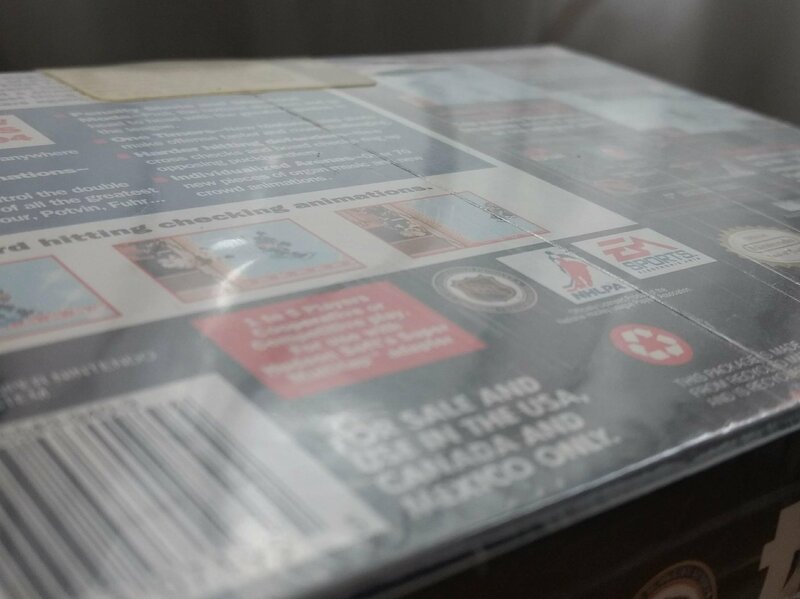 Another thing that the fakes rarely have are "roller marks" beside the seam on the back of the box. It's marks that the real sealing machine makes. 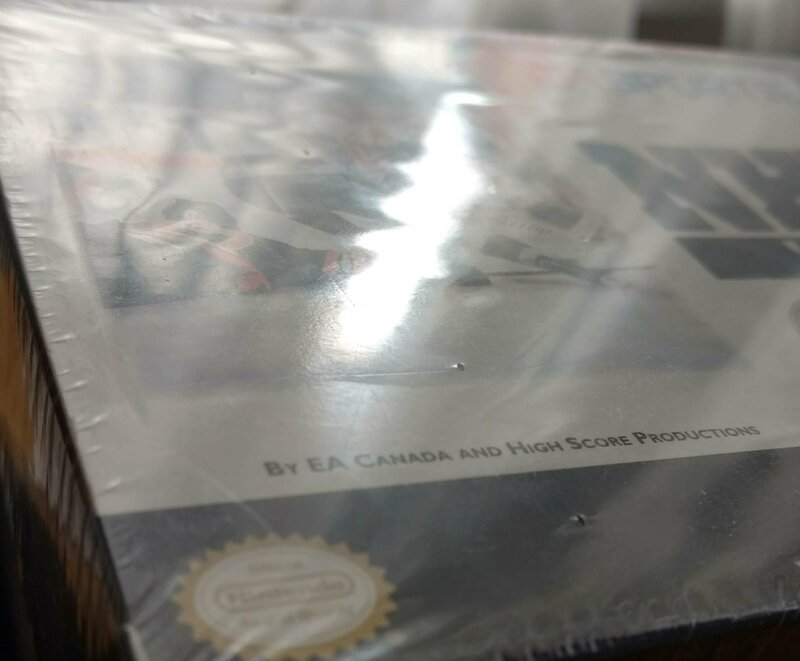 It also have a small plastic overlap where the seams meet at the top and the bottom of the box, which is also an indication it's not fake. 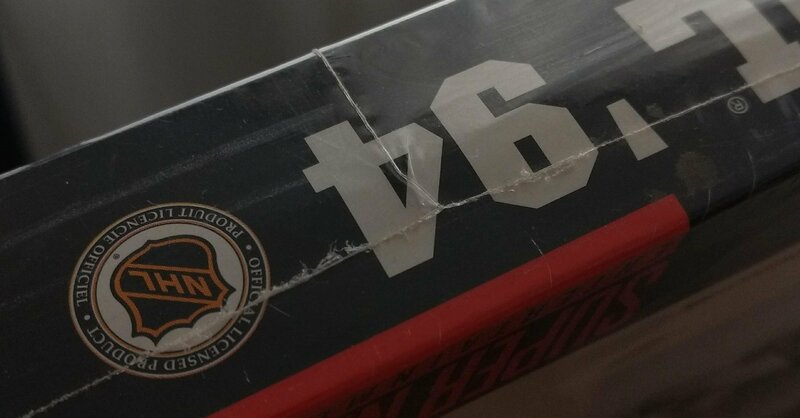 No paint has cracked of the folds on the box either, indicating it has not been opened. I'm no expert though, so if there is anything you can show me that confirms it's fake, please tell me. I'd prefer to not open it obviously, if it is real. The videos you posted didn't really say anything about SNES games either. Adding some more pictures to show the things I mentioned. Bid posted. I trust xot. He’s a good fella. Played a ton back in the day and smashed a lot of buds while he was at it! This is legit, and in good shape! where is our unboxing video! 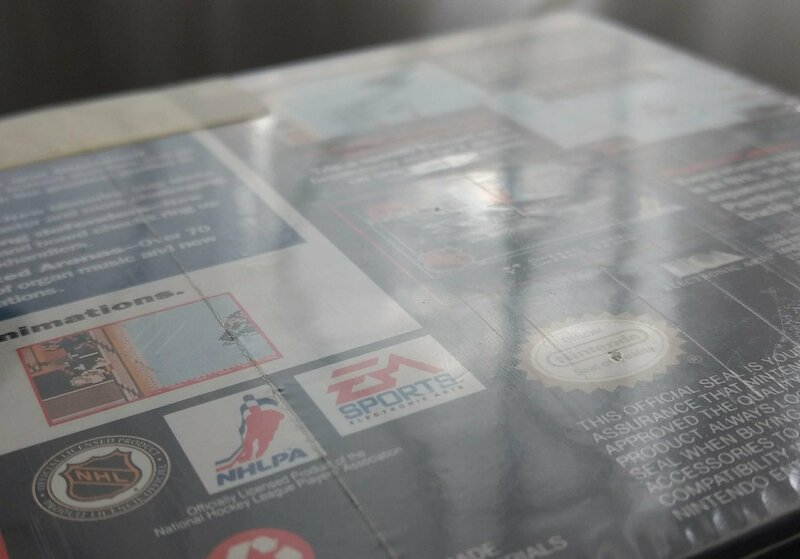 Do you realize how much work it was getting that cheap walmart plastic-wrap on to that box? Bid posted. I trust xot. He’s a good fella. Played a ton back in the day and smashed a lot of buds while he was at ﻿it! 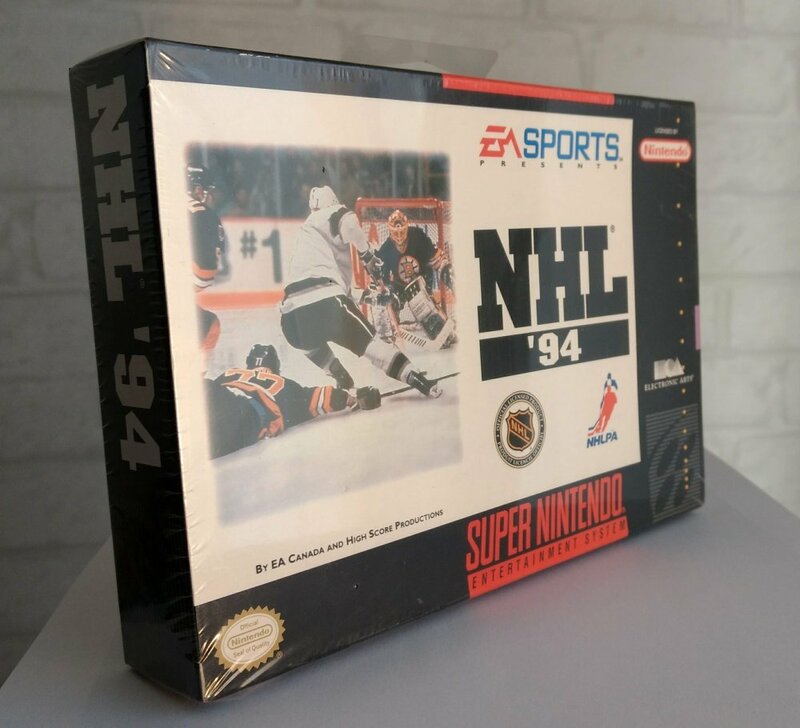 Well, I changed career, pays better to wrap used SNES boxes. kingraph is in on this whole thing, he sends me the used SNES-boxes. @kingraphs reputation has been damaged by his glorification of Peter Bondra, more so than any boxing scheme. 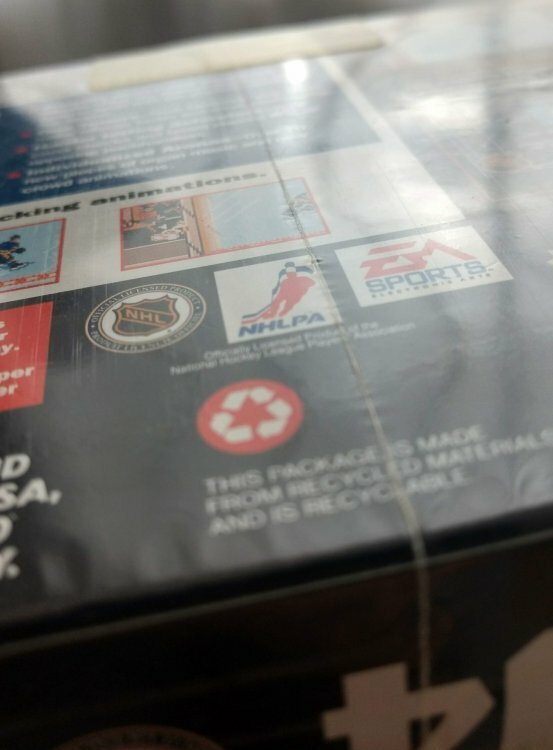 if kingraph gets indicted for this wrapping scheme I will happily vote to ban raph and any future shrink wrappers.......how far does this go is nhl 94 just a front for a world wide wrapping cartel .....Evan ????? @xot82 do you ship to Canada? 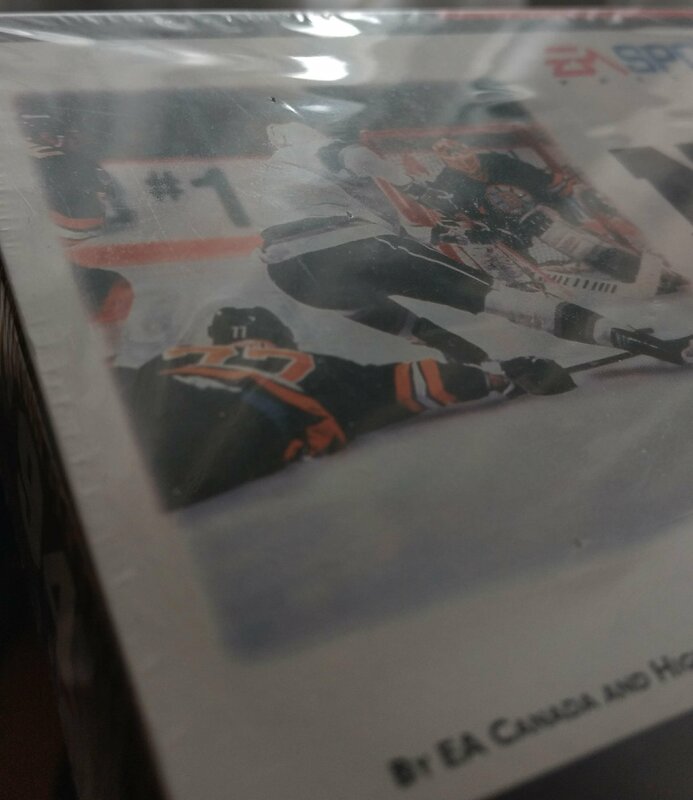 Received the game in the mail today. Everybody at work wants me to open it up. I'm thinking if it sat in the box this long, it's probably turned gold. Hi @halifax I will purchase this from you for $1 more than you paid for it. You will be lauded for your ability to turn a quick profit.